BTIG Research upgraded Snap Inc (NYSE: SNAP) from Neutral to Buy. Snap shares rose 6.2 percent to $10.67 in pre-market trading. 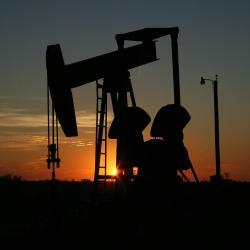 Analysts at Credit Suisse upgraded Suncor Energy Inc. (NYSE: SU) from Neutral to Outperform. Suncor Energy shares rose 0.2 percent to $33.70 in pre-market trading. B. Riley FBR downgraded Tailored Brands Inc (NYSE: TLRD) from Buy to Neutral. Tailored Brands shares fell 20 percent to $9.35 in pre-market trading. CIBC downgraded Sun Life Financial Inc (NYSE: SLF) from Neutral to Underperform. Sun Life Financial shares fell 0.1 percent to $38.23 in pre-market trading. Gabelli & Co. downgraded Lexicon Pharmaceuticals, Inc. (NASDAQ: LXRX) from Hold to Sell. Lexicon Pharmaceuticals shares fell 4.5 percent to $7.51 in pre-market trading. Credit Suisse downgraded Summit Midstream Partners LP (NYSE: SMLP) from Outperform to Underperform. Summit Midstream Partners shares fell 2.4 percent to $9.80 in pre-market trading. Morgan Stanley downgraded Oaktree Capital Group LLC (NYSE: OAK) from Overweight to Equal-Weight. Oaktree Capital shares fell 0.3 percent to $49.10 in pre-market trading. Analysts at Mizuho initiated coverage on Microsoft Corporation (NASDAQ: MSFT) with a Buy rating. The price target for Microsoft is set to $135. Microsoft shares closed at $114.50 on Wednesday. Analysts at William Blair initiated coverage on Cellectis SA (NASDAQ: CLLS) with an Outperform rating. Cellectis shares closed at $18.87 on Wednesday. BTIG Research initiated coverage on Consolidated Edison, Inc. (NYSE: ED) with a Buy rating. The price target for Consolidated Edison is set to $70. Consolidated Edison shares closed at $85.18 on Wednesday. Analysts at Wells Fargo initiated coverage on Sientra Inc (NASDAQ: SIEN) with a Market Perform rating. The price target for Sientra is set to $9. Sientra shares closed at $8.12 on Wednesday. Mizuho initiated coverage on salesforce.com, inc. (NYSE: CRM) with a Buy rating. The price target for salesforce.com is set to $185. salesforce.com shares closed at $159.81 on Wednesday. Cowen & Co. initiated coverage on Apple Inc. (NASDAQ: AAPL) with an Outperform rating. The price target for Apple is set to $220. Apple shares closed at $181.71 on Wednesday. Jefferies initiated coverage on Waitr Holdings Inc (NASDAQ: WTRH) with a Buy rating. The price target for Waitr Holdings is set to $18. Waitr Holdings shares closed at $14.15 on Wednesday. William Blair initiated coverage on Allogene Therapeutics Inc (NASDAQ: ALLO) with an Outperform rating. Allogene Therapeutics shares closed at $26.89 on Wednesday. Mizuho initiated coverage on Splunk Inc (NASDAQ: SPLK) with a Buy rating. The price target for Splunk is set to $150. Splunk shares closed at $124.25 on Wednesday. Analysts at BTIG Research initiated coverage on Walker & Dunlop, Inc. (NYSE: WD) with a Buy rating. The price target for Walker & Dunlop is set to $70. Walker & Dunlop shares closed at $51.49 on Wednesday.